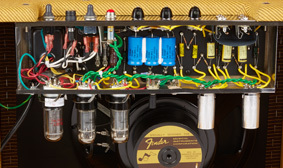 The handwired '57 Custom Deluxe is a bit of electronic wizardry—an extraordinary amplifier with stunning clean tone and the complex, organic overdrive guitarists crave. 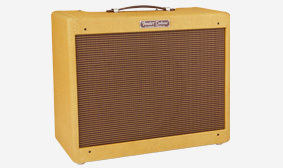 Based on the original highly sought-after collector's piece, this two-channel combo sings and snarls with the authentic Fender sound that birthed rock 'n' roll. 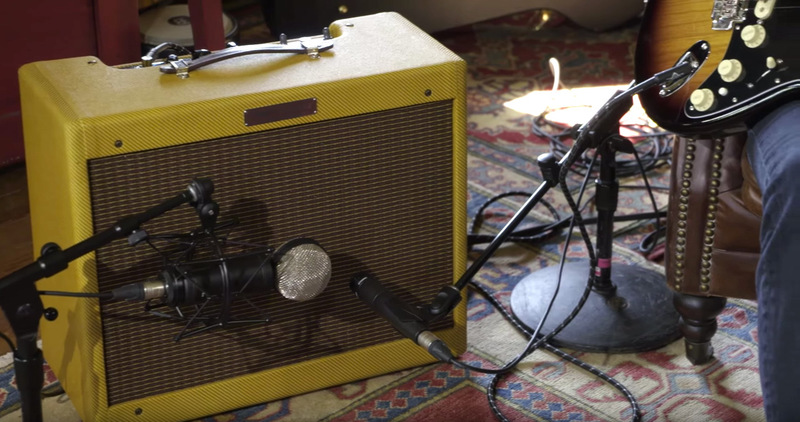 There’s nothing quite like the pure, powerful sound of a Fender tube amplifier. 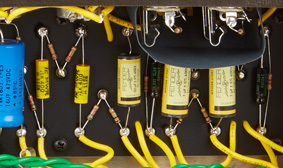 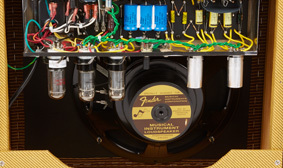 The tonal richness and touch-sensitive dynamics of real tubes have given Fender amps an unmistakable voice for more than 60 years—defining the sound of musical recordings and performances you’ve heard your whole life. 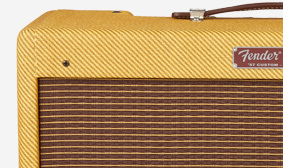 This special-design speaker uses vintage-era construction for versatile, highly dynamic tone spanning every sonic shade from clean to mean. 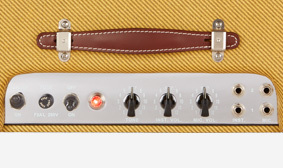 In addition to the handsome covering, this amp features the silvery style of a mirrored chrome control panel.